Hello and Welcome back to my second blog post for today. Here is my first post! Today is day #3 of Taylored ExpressionsJune release sneak peek. Hope you are enjoying the projects from all the designers for past two days. There are some awesome prizes to be won. 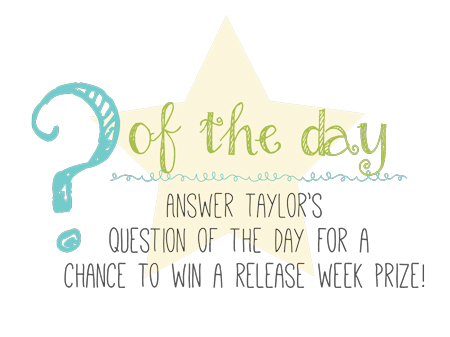 So make sure you head over to Taylored Expressions Blog each day and answer Taylor’s question. Today I am showcasing two new products from the new release. They are stamp sets called If Cows Could Talk stamp set and die set and Care & Comfort – Pets. 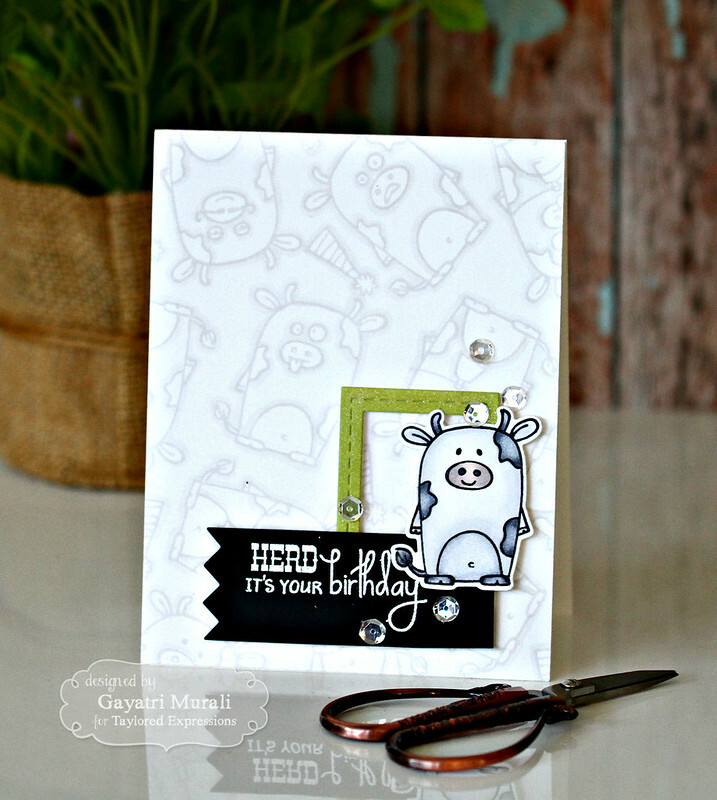 My first card showcases If Cows Could Talk stamp set and die set. What I love about this stamp set is that the cow image does not have a face on it. Instead there are various different face options in the stamp set so you can stamp different faces to get different cow image. How awesome is that? I love versatile stamp sets. Also the sentiments are so punny! I stamped my card front with the cow image randomly and stamped different faces on each of them. I stamped the images using SSS fog ink and outlined with copic C1 marker. Then I added a green frame from Stitched Rectangle Frame die set die cut out of Sugar Cube cardstock and sponged with Granny Smith dye ink. 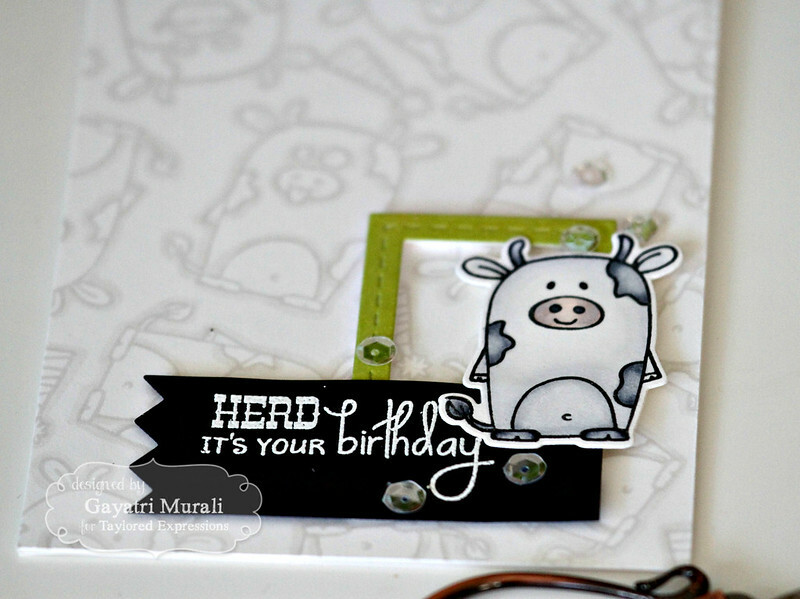 The focal Cow image is stamped with the new Oreo ink and coloured with copic makers. This is die cut using the coordinating die. The sentiment from the stamp set is white heat embossed on Oreo cardstock banner die cut using Banner Stacklet 4 die set. Embellished with sequins. My second card showcases Care & Comfort – Pets stamp set. This set is great especially for sending sympathy card to someone who has lost their pet. 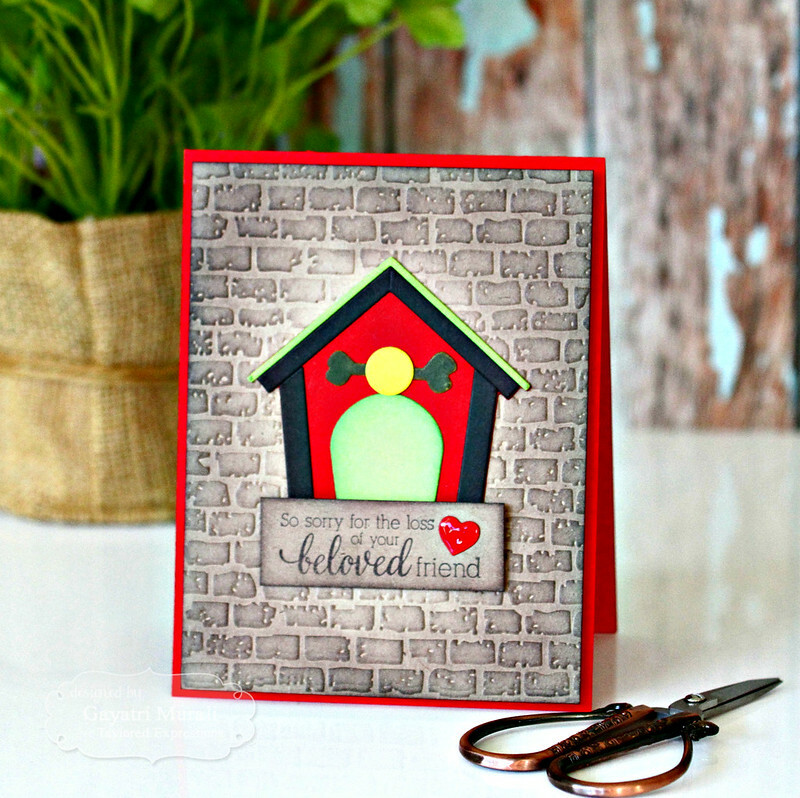 I have paired the sentiment from Care & Comfort stamp set with the new Build a Doghouse die set. The background is embossed using Brick embossing folder on Toffee cardstock panel and sponged with Chocolate Truffle Hybrid ink. This panel is mounted on Cherry Pop card base. 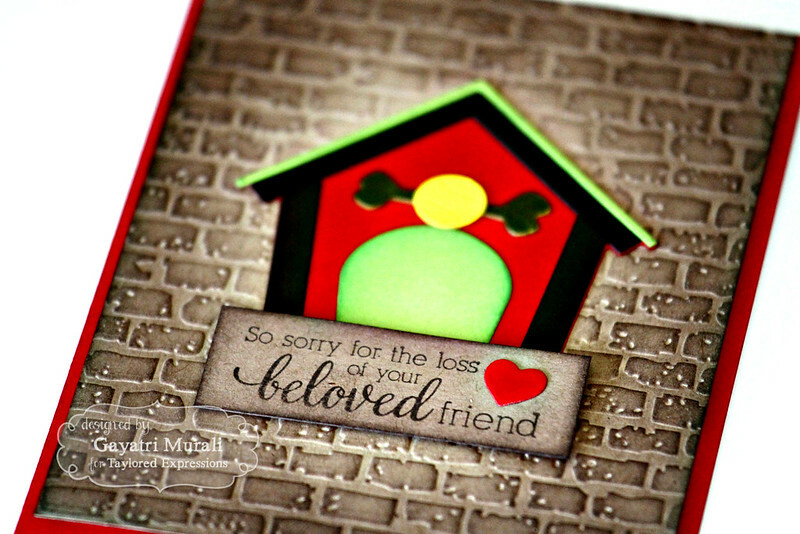 The dog house is die cut using Chocolate Truffles, Red Pepper, Granny Smith, Lemon Meringue cardstock. Each of the die cut pieces are sponged with their respective ink colour to add depth. I simply stamped the sentiment on a Toffee card strip using Chocolate Truffles hybrid ink and sponged the strip with the same ink. I added a little heart show on it and cover with glossy accent. Oh my gosh! LOVE this. Especially the sentiment. Herd it's your birthday, that will keep me smiling for hours. I love how you did the background of the first card! It's really striking. Must have this new set!